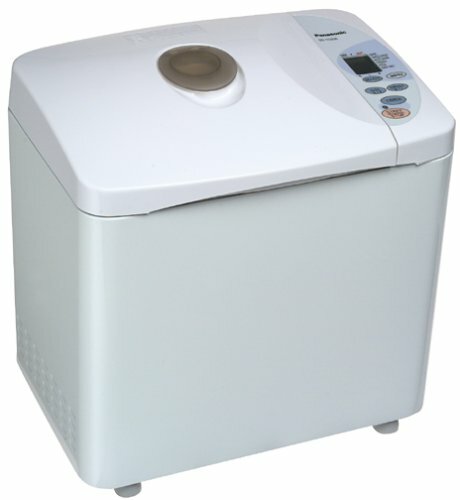 A bread making machine or bread maker is a home appliance for baking bread. It consists of a bread pan (or "tin"), at the bottom of which are one or more built-in paddles, mounted in the center of a small special-purpose oven. This small oven is usually controlled by a simple built-in computer, the settings for which are inputted at a control panel. Most bread machines have different cycles for different kinds of dough—including white bread, whole grain, European-style (sometimes labelled "French"), and dough-only (for pizza dough and shaped loaves baked in a conventional oven). Many also have a timer to allow the bread machine to activate without operator attendance, and some high-end models allow the user to program a custom cycle.